When you are looking to strike a long range target in windy conditions, the 300-grain .338 bullet is tough to beat. When launched at a speed of 2700fps at 400 yards, a 300-gr. Berger Elite Hunter has a .818 BC and a mere 1.6 MOA of drift and at an 800-yard distance, it rises a bit to only 3.4 MOA. The .338 Lapua is a super mag for something like the exceptionally accurate Savage 110 FCP. For long range contests, the RUM may probably fall short of winning but when it comes to general hunting of big game it is not an easily beatable cartridge. The recoil of a Nosler Accubond 200-gr bullet may be a bit excessive but I bet you will be impressed by this case’s accuracy. It has a .588 BC with 2.0 MOA drift at 400 when launched at 2975fps and at 800, the MOA gets to 4.6, which is quite stunning. The most attractive edge of this cartridge is that it goes easy on the barrels, giving you amicable practice to call the wind. It hunts better than the .260 Rem and the 6.5 Creedmoor, which are both excellent pieces. A Browning X-Bolt Varmint Stalker has a .480 BC at 2600fps with the .308 Win. At 400 and 800 yards, the wind drift has an MOA of 4.1 and 7.3 respectively. This is a highly appreciated cartridge among inner circles of position and F class shooters. It easily launches a 105-grain Berger Match Hybrid Target at 3000fps with a .545 BC. At a 400-yard distance, the wind drift has an MOA of 2.1 and at 800 yards, the MOA is 4.8. At best this is a proposition of a custom rifle, you can still find some factory rifles available for this. The .220 Swift firing 80-grain ammunition is perhaps the finest long-rage predator/varmint rifle. 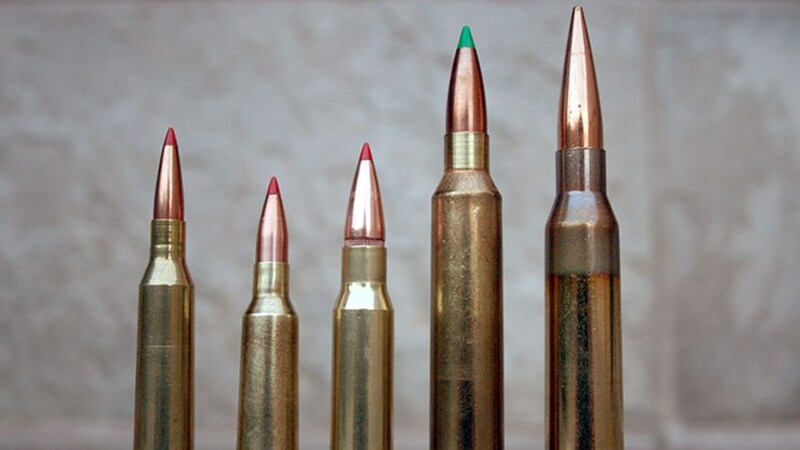 The Hornady 80-grain AMAX dos not really sound awesome with a .453 BC, at least not till you find out that the majority of .224 ammo have the ballistic coefficient in the 2’s. At a 3250fps launch the 80-gr. AMAX has a 5.7 MOA drift at 800 yards, which is less than a 3800fps launch of a 55-gr VMAX that has a 12.8 MOA drift. The difference is exactly half at a distance of 400 yards, 2.4 and 4.8 respectively.